Healey Library subscribes to a large number of newspapers, in print, microform and electronic versions. Electronic versions of newspapers can be accessed through ejournals and the library databases. Print and microform newspapers can be found by searching UMBrella. Search the name of the newspaper by Journal Title. Search the full run of the Boston Globe from one place. Access is from 1872-present. Nexis Uni™ features more than 15,000 news, business and legal sources from LexisNexis ®—including U.S. Supreme Court decisions dating back to 1790—with an intuitive interface that offers quick discovery across all content types, personalization features such as Alerts and saved searches and a collaborative workspace with shared folders and annotated documents. 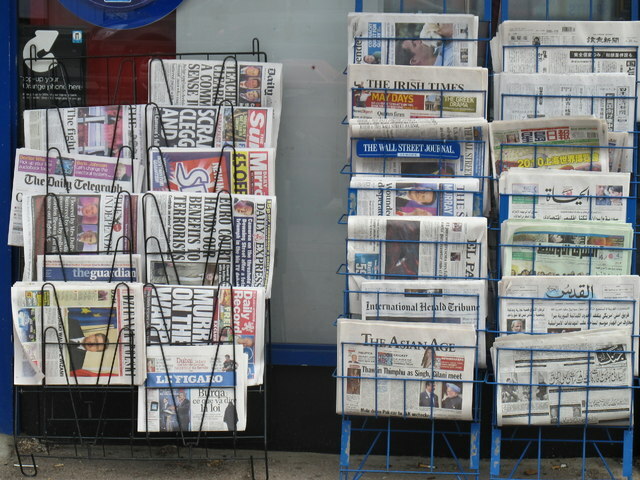 Infotrac Newsstand provides access to more than 1,100 major U.S. regional, national and local newspapers as well as leading titles from around the world. It also includes thousands of images, radio and TV broadcasts and transcripts. Search newspapers, newswires, blogs, and news sites. Find national and international newspapers, such as The New York Times, Los Angeles Times, and The Guardian. These databases also include large collections of local and regional newspapers.